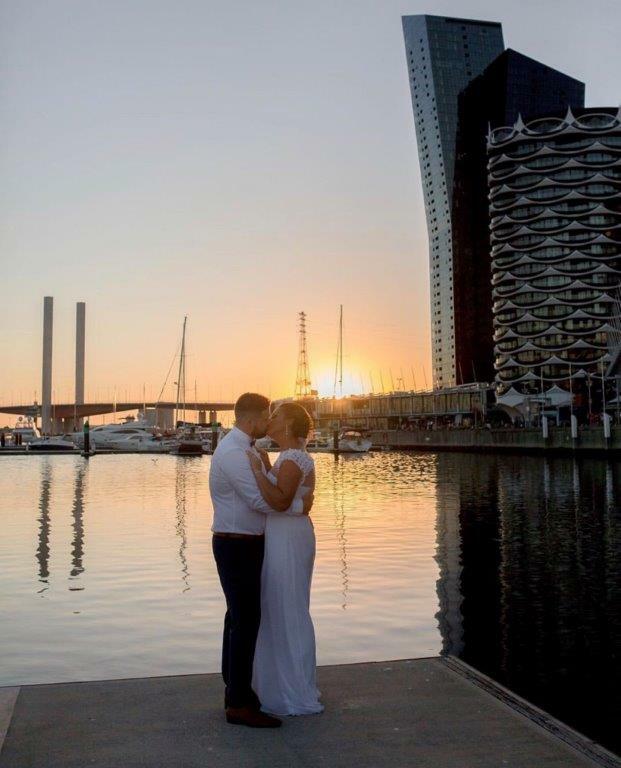 Melbourne’s famous for being one of the most beautiful cities in the world and on this gorgeous summers day, Melbourne delivered these newly weds the perfect summer wedding day with a stunning sunset to top off their day. From start to finish this wedding was stylish and graceful. 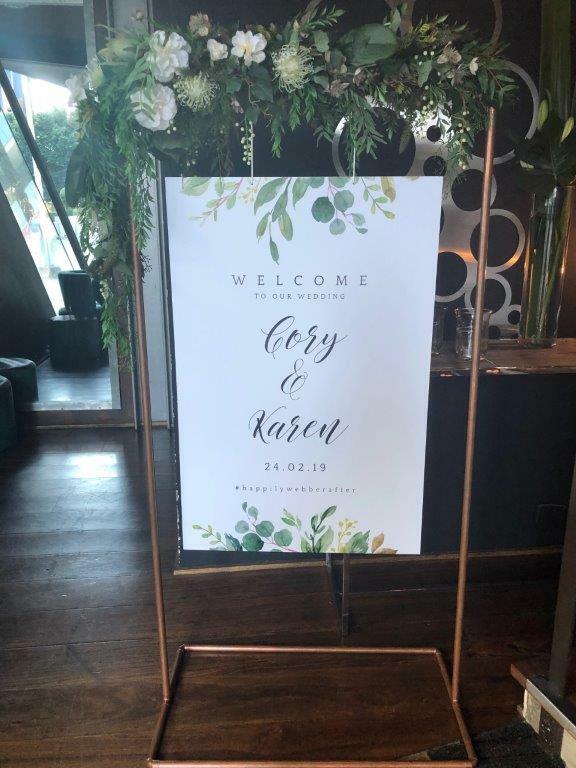 The theme was rustic chic, with a stunning wedding entrance sign decorated with native greenery…perfectly is set in All Smiles melbourne wedding venue with their neutral and classy decor. 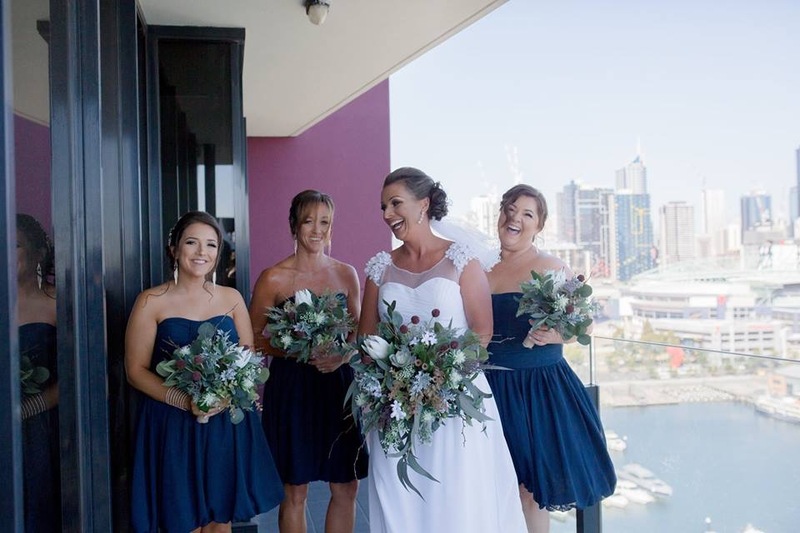 Karen’s bridesmaids all looked beautiful in prussian blue dresses which set of their native wedding bouquets perfectly. The groom’s party attire complimented the wedding theme, of course Corey was not only suave but looked like the happiest man on earth! All Smiles Melbourne Waterfront, located at Docklands in a sensational waterfront location was the backdrop to Karen and Corey’s wedding day. This beautiful couple engaged me to officiate over a fun and relaxed ceremony at this wonderful location. 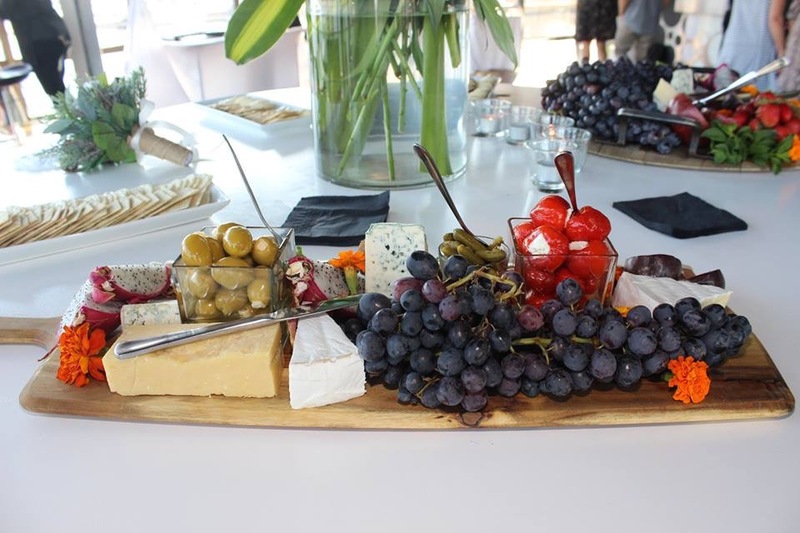 With 100 guests for their stylish cocktail style wedding, Karen and Corey welcomes their family and friends to witness their commitment and vows to each other. It was an extra special occassion with Kate’s dad, Henry able to walk her down the aisle inspite of his recent ill health…a memory that they will all treasure forever. Isla, their 18 month old daughter stole the show as their flowergirl – she was the proud recipient of a very special flower girl certificate. Karen’s entrance, with her dad, took everyone’s breath away – refined, elegant and beautiful. 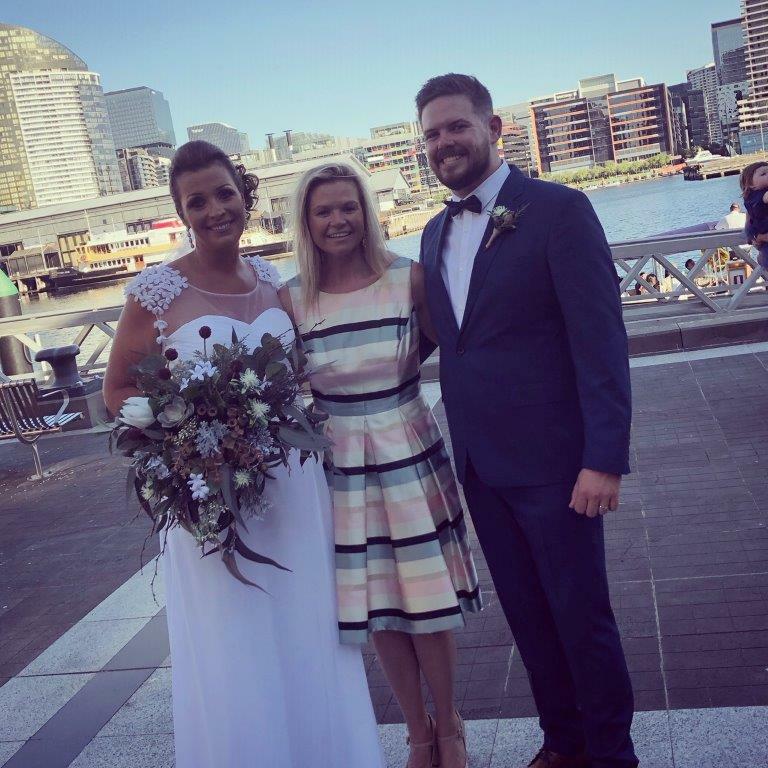 The professional and helpfull staff from All Smiles Docklands ensured this wedding was a day to remember from start to finish. 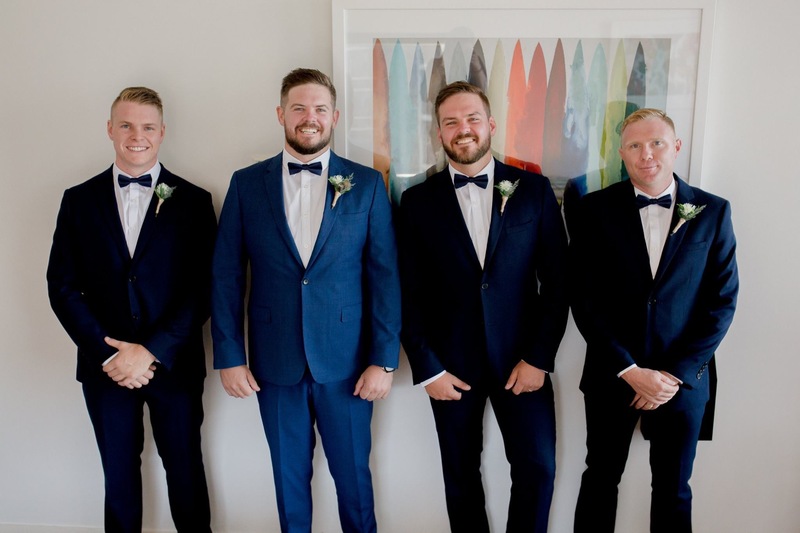 It was fabulous to work with fellow Mt Evelyn wedding supplier Shannon from Music with Memories and Belle from Royal Memories Photography – who were awesome and helped supply the wedding photos. 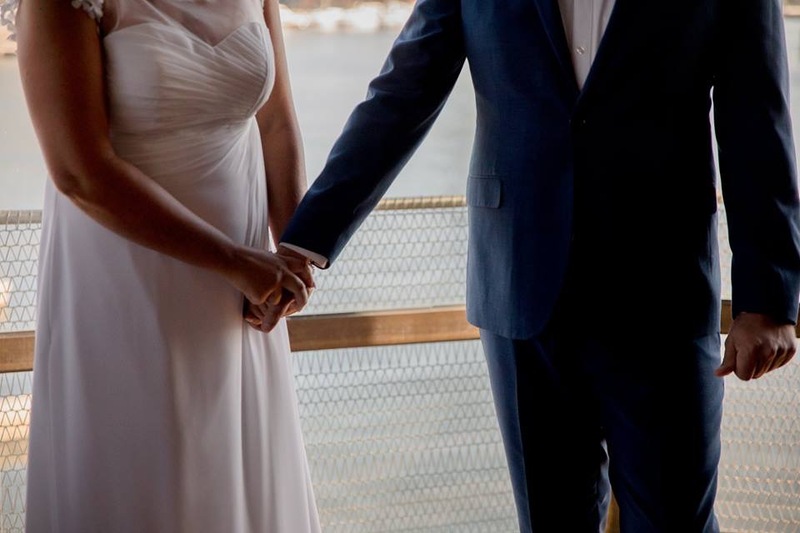 Cory and Karen met at the Wharf Hotel in 2016 on AFL Grand Final day. Neither of them supported teams playing on the day and they were dragged along by friends. Karen’s good friend Danni was keen to set her up that day and enticed Cory and Karen to speak. Karen certainly wasn’t overly keen as Cory was younger than her and she thought he was too young. Cory says his first interaction with Karen was jovial at best; he was trying to smooth her over as he knew she was older than him (haha), Karen completely rejected him and decided Crown was the better option. Hours later, she returned so Cory jumped at the chance to smooth her over once again, hopefully with some more success this time. So, he asked her if she enjoyed dancing and wanted to dance with him. Cory says, after that, he was in like Flynn! Karen says, as they began to speak she realised they had much in common and that age was only a number. The one thing that stood out to Karen was Cory’s kind and caring nature along with his smile and he constantly made her laugh, and still does. Cory’s initial impression of Karen was her stubbornness; but never judge a book by its cover he says. He also noticed her freckles, he loves sun kissed freckles and her eyes which have an uncanny ability to change colours. Their first official date was at the Longbeach Hotel in Chelsea. They had a steak and Karen paid which she thinks surprised Cory! They had a lot of dates very quickly! Karen discovered Cory never judges anyone, always happy to talk to anyone about anything. The size of his heart, and how much he cared about his family and friends also impressed her. Cory proceeded to stay over most nights and to be completely honest after a couple of months it was permanent- he moved in! Cory noted Karen’s cleanliness is next to godliness; he had never seen someone vacuum out the bath tub before! Karen knew she loved Cory a few months in when she’d had a bloody awful day and when she got home there was a glass of Vino waiting and his attempt at a stir fry dinner… Cory loved KB for sometime throughout these early times. After 5 months of this togetherness, their little darling was conceived and their lives changed in the best possible way forever! This is when their love and affection developed even further, during the birth and parenting of Isla. Cory and Karen decided to move house to a bigger place to accommodate their growing family. 4 days before the move- Cory was rushed to hospital with an inflamed pancreas due to gall stones. He then spent 6 days in hospital whilst Karen finished packing and moving them (thank god for family and friends on the day). Karen went into hospital to visit him and as she was sitting on his bed with Isla crying in her pram, Cory proposed! Hospital gown and all! It was far from romantic, but completely these two!!! They are so similar with their wants and needs, it was his way of being spontaneous and also probably so Karen wouldn’t leave him after moving house alone! Karen adores that Cory is loving, she enjoys his sense of humour and his courage and he has taught her to be brave in the face of adversity. Cory still loves Karen’s stubbornness, that she is also loving and that she is strong in many ways. Karen has taught Cory stability, reasoning and how to recover from injuries and surgery. They love just hanging out with Isla, being a family, going on adventures together- however not too far a distance with Isla. She doesn’t travel well yet. 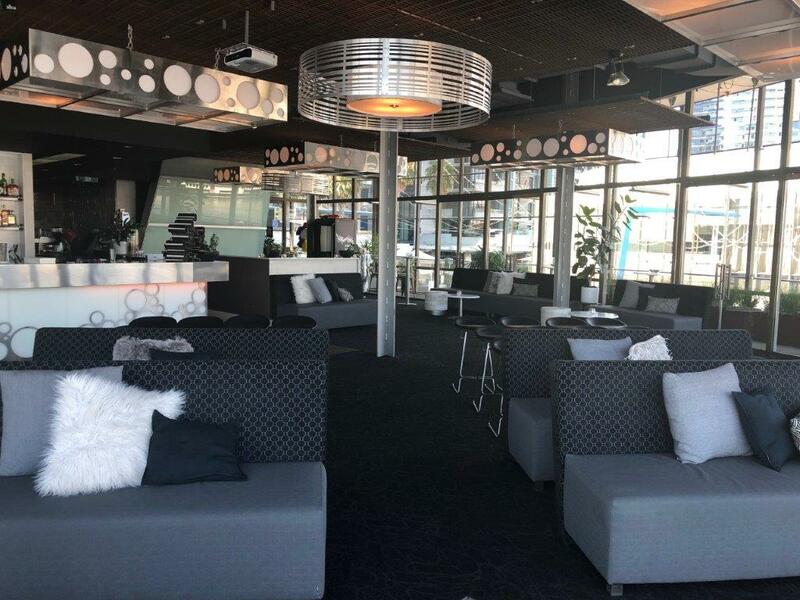 They love to go to movies together, enjoy great food and wine. They love their family and friends and love to get together with them when time permits. In marriage, they know that trust, communication and making time for each other is essential. They’re looking forward to the honeymoon and concreting the foundations of their relationship which they already have in place.